updated look from 2008 to 2012. So, what I’m craving now?! A new LWD. Prerequisites? Light, flowy and perfect for any summer outing. I love the shape of this dress and the lavender tones! Yes, it’s cream, but I would make an exception for those sweet shoulder ties and rosette skirt. This tank dress is perfect! A slightly hi-lo skirt with tiered layers. Obsessed with this floaty little number and the open shoulders. It might not be flowy, but this shift dress makes up for it with the adorable crochet flowers. Obsessed with this dress. The watercolor print adds the perfect touch. Hello Princess, I just discovered your blog and stylish, you have a new follower. I invite you to meet my blog and if you like, I would love to follow me. love that vest, its adorable deets! Great outfit- love the vest! I would definitely go for the cream coloured dress- loving the lace!! wow you look stunning. love your dress and shoes!! 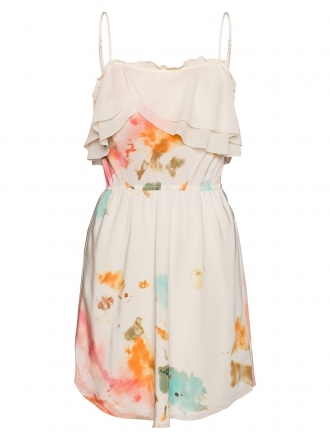 The Dolce Vita dress is beautiful. Ahh. You look beautiful and cute dresses! You look gorgeous girl kisses can we follow each other..? OMG i am so in love with this outfit. you look gorgeous … i love your boots. they are awesome!!! You look amazing with these outfit! Very cute! Would like to follow each other? Visit my blog, I'll for sure follow you back!